Former Surgeon General, C. Everett Koop died Monday at his home in Hanover, N.H., died Monday at his home in Hanover, N.H.. The cause of his death has not been made clear at this point. He was 96. Koop, nominated by President Reagan in 1981, served seven years as Surgeon General. The evangelical Christian was initially faced with great opposition to his nomination due to his personal views on abortion. Koop, however, was one of the few figures in American history who had the ability to separate his personal views from the politics of it all. During the AIDS epidemic of the 1980s, Koop became a champion for AIDS research and education, and was heralded by both the homosexual community and AIDS activists alike. The AIDS scare came to an end in 1989, when Koop retired his post. Among the other health issues facing the culture at that time, he declared smoking a public health hazard, pioneering the way for the inquiry into big tobacco corporations. 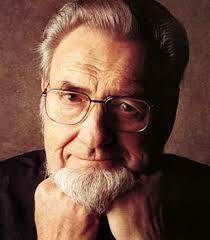 I had the honor of working with C. Everett Koop, a pediatric surgeon, in the mid-nineties as a PR Agent. Face to face, the enormity of his stature was diluted by his humility and wit. He did of course, however, pull me aside at a gala in 1994 at a gala at the Adam’s Mark Hotel, taking a stern tone after he caught me smoking outside the event. His works, and our conversations left a lasting impression on me to this day. Sad to see him go, perhaps his passing will not only bring to spotlight his great accomplishments and service to his country, but also serve as a reminder to those in the world of politics that it is possible to put aside the personal, and work for the common good of the people. 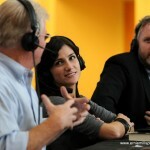 Attention Christians, this is a Culture War! So, angry callers swamped the phone lines of The Dana Show this afternoon wanting to excoriate the popular Christian talk-show host for wanting to engage in culture. Dana live-tweeted the Oscars last night while watching the glamorization of ego event…and some on the Christian right were infuriated at her for wanting to engage in culture. These people argue that by any engagement in modern-day culture, one is promoting and contributing to the leftist Hollywood agenda. Seriously? Seriously. I’ve got some news for you. 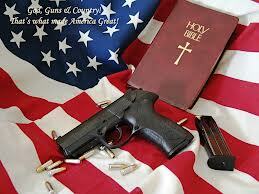 Christianity is under attack here in America, in case you haven’t noticed. This is a cultural war we are in the midst of. Politics is downstream of culture. Until we reign in the culture, there is little that anyone will be able to do regarding violence, abortion issues, domestic issues, marital issues, abuse issues…shall I go on? First, we must recapture and inject pure biblical principles back into our society. What happened to honesty, humility, compassion, responsibility, purity, and respect? Until we obtain these, the rest is moot. The only way to achieve this is to engage in the culture that promotes the antithesis of Godliness. And just a reminder: Without cultural engagement, we would never have had Elvis, Johnny Cash, Bob Hope, Ronald Reagan, Charles Schultz, CS Lewis, or, of course, the show Growing Pains! Could you imagine? Christ calls us to engage, specifically, in Matt 28 16-20. I wouldn’t argue with that. Just sayin. This morning I was awakened by a text message at 2:30am. That isn’t necessarily odd, as my husband is a baker and is occasionally (ok, more than occasionally) at work at that hour. But it wasn’t my husband. It was the emergency text alert system from my school – Southern Illinois University Edwardsville. SIUE, like much of the state of Illinois, is a gun-free zone. It’s not even legal to store a weapon on campus, which essentially means that aside from campus police, no one is armed. Which is awesome, because that means we’re all totally safe. Except the text message I received this morning suggested otherwise in a big way. A little after 1am today, according to Fox News, two suspects robbed a 20 year old male student in Cougar Village (an SIUE apartment complex) at gunpoint. Only one of the suspects was armed, but surprisingly enough, when none of the victims are armed, one is generally enough to do the trick. 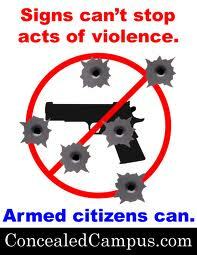 How exactly does an armed robber get into a “gun-free zone”? Doesn’t he set off an alarm of some sort? Aren’t there automatic sensors for that kind of thing? And if there aren’t, how can any politician claim that a “gun-free zone” is anything other than a euphemism for a “conveniently disarmed victim zone”?